* See individual store details for specific trading hours. Situated in Ballito, KwaZulu-Natal’s premier coastal holiday town, Lifestyle Centre provides a convenient, easy and authentic shopping experience, for residents and holidaymakers alike. Co-owners Bruce and Paul Rencken are entrepreneurs with the necessary boldness and touch of craziness required to make something out of nothing. 15 years ago, the site of Lifestyle Centre was a sugar cane field. Bruce and Paul secured funding and tenants for this ambitious project, and Bruce recalls going door-to-door, selling the concept to desired future tenants, with the model of the centre in the back of the bakkie. Lifestyle Centre began as a neighbourhood convenience centre, and for 13 years, was both literally and figuratively, the centre of Ballito. The retail landscape of Ballito changed in 2017 with the launch of an 80,000m2 regional mall right across the road from Lifestyle Centre. In this new chapter of the story, the same qualities of boldness, vision and a touch of craziness have been required to take Lifestyle Centre to the next level through clearly differentiating our offering for the Ballito market. Lifestyle Centre is known and loved for the personal touch, the great food and family fine dining offerings, and the beautiful design that integrates indoor and outdoor in a way that really brings the feeling of “street-scene” shopping to life. This is a place where international trends and local flavour mix perfectly. A place where you can feel at home, relaxed, comfortable and just be yourself. It captures the essence of living life the Ballito way. You will feel it in the air. Lifestyle Centre is a shopping experience that encompasses all that is good about life, the Ballito way. The casual, alfresco-style shopping centre offers ample, free, secure parking (both open and under-cover) and a range of quality stores to take care of all your food, family and style requirements. Unlimited, FREE parking is available at Lifestyle Centre. There are 450 open parking bays and 350 covered parking bays, accessible via two separate entrances. All parking areas are monitored 24 hours a day by Enforce security guards. Security guards patrol the centre and car parks on a 24 hour basis, assisted by CCTV surveillance. All areas of Lifestyle Centre are easily accessible by wheelchair. A wheelchair facility is available to customers. There are 11 specially marked parking bays reserved for disabled shoppers. In addition to male and female ablution facilities, family toilets and baby-changing facilities are also available, in three different locations within Lifestyle Centre. 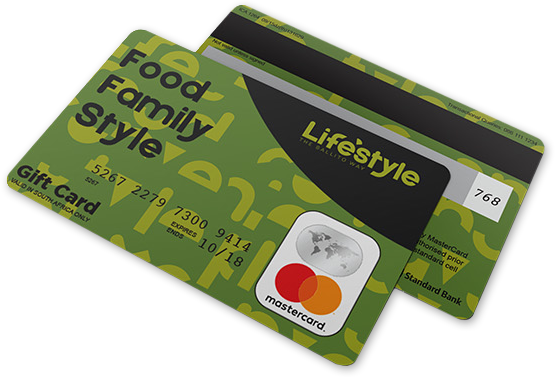 Lifestyle Centre gift cards are available from our info kiosk situated outside Lifestyle SUPERSPAR, open 7 days a week. The gift cards are redeemable at all of our stores in the centre, as they are accepted by all Lifestyle Centre tenants as a preloaded credit card. Available for any amount between R50 and R2500. Please produce your ID or Drivers Licence when purchasing gift cards for security purposes. Choose a gift card holder to suit the occasion. Balance enquiries can be obtained from the Lifestyle Centre Information Kiosk. Gift cards cannot be replenished. Please destroy once all funds have been used. At Lifestyle Centre, we firmly believe in the old adage of healthy body, healthy mind. To this end, we are actively involved in a School Sports Program whereby local schools Umhlali Preparatory, Ashton International College, Curro Mount Richmore & Crawford College North Coast enjoy sponsorship of sporting equipment and first team sports kits. 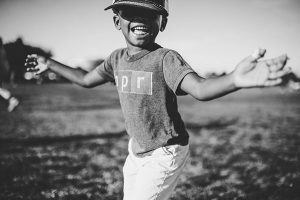 In addition, Lifestyle Centre is involved in a number of community events and initiatives, including the North Coast Courier Orphan Fund, the Illembe Chamber of Commerce, and the Urban Improvement Project (UIP). Numerous registered fundraisers and events are held at the centre during the year to help uplift our community and bring people together.